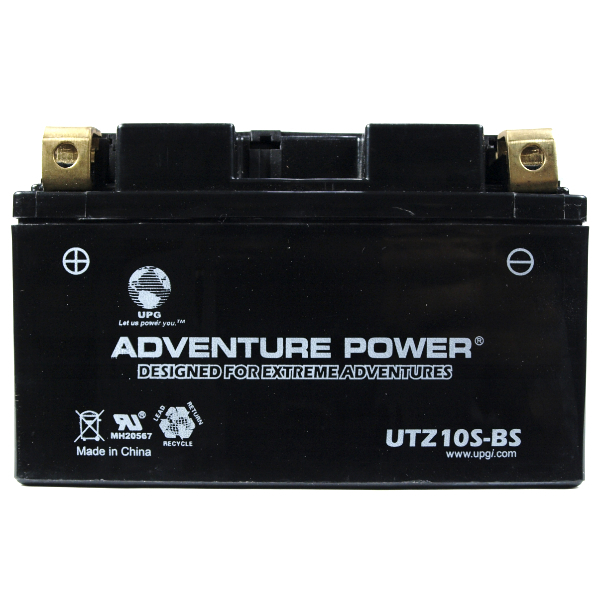 This YTZ10S motorcycle battery is a Sealed AGM. This means it has been sealed and activated at the factory and arrives fully charged and ready to use. You will not have to mess with any acid as the battery is known as valve regulated lead acid, designed not to leak and capable of being placed into service on its side. 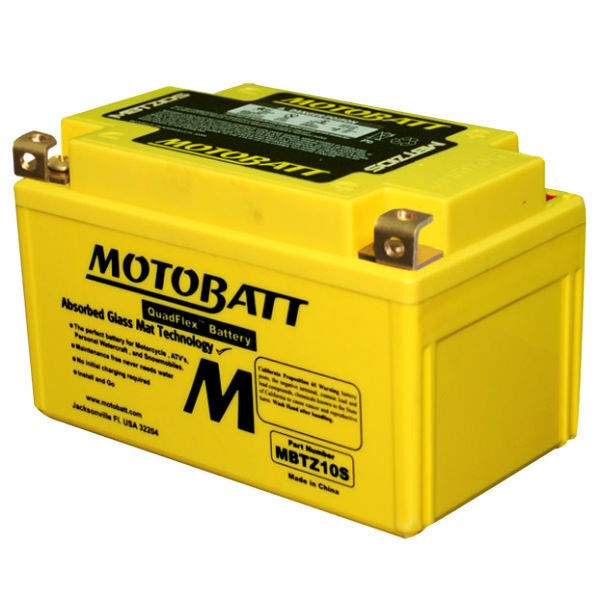 Many of these Sealed AGM batteries have a Dry Charge AGM cousin for those that like to know their motorcycle battery is fresh and has not been left sitting on a shelf slowly discharging. Some may refer to the Yuasa YTZ10S battery by the manufacturer stock code which is YUAM7210A. This battery is 12V and has 160 CCA and 8.6 AH. It comes with a full 12 Mo. replacement warranty. Yuasa batteries are made either in Taiwan or the United States. Currently the YTZ10S is made in Japan.